Aesthetically speaking, Ocean City’s Sports and Civic Center isn’t likely to win any architectural awards anytime soon, if ever, for beauty. Its drab, utilitarian appearance is reminiscent of a warehouse. Yet the building plays an important role in the city’s sports scene and as the venue for special events, including festivities for the family-friendly First Night celebration on New Year’s Eve. 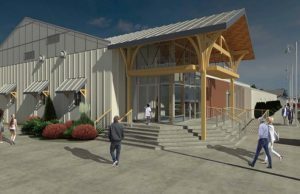 Hoping to turn it into a bigger, more functional facility, the city is planning to sink $2.2 million into the building this year for an expansion project and facelift. 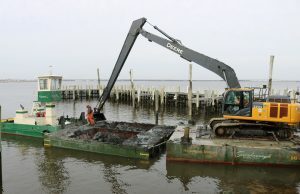 Make no mistake about it, Billy Griscom probably knows as well as anyone just how terribly clogged Ocean City’s lagoons have become over the years. He’s no scientist or engineer or environmentalist. He’s the guy operating a gigantic yellow excavator that is scooping tons of black muck out of the lagoons and channels every day. “They’re bad. 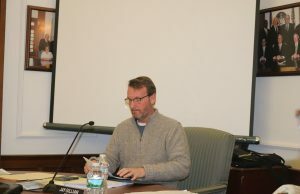 They’re extremely bad,” Griscom said, shaking his head to emphasize his point. 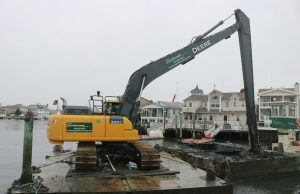 Griscom and his co-workers at Scarborough Marine Group are removing an estimated 700 to 1,000 cubic yards of muddy sediment per day out of the Venetian Lagoon while dredging the boat slips of private homeowners along Bayshore Drive, just off the bay end of 18th Street. 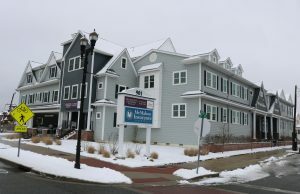 The McMahon Insurance Agency office building in Ocean City will be closed all week following a fire that caused smoke damage and left soot “everywhere.” Ocean City Fire Chief Jim Smith said the smoky fire Sunday night was caused by a burned-out sump pump in the elevator shaft. Firefighters had trouble pinpointing the source of the smoke because the sump pump was tucked inside the base of the elevator shaft, Smith said. 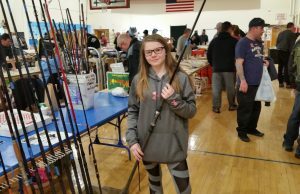 Hundreds of fishing enthusiasts spent their Saturday at the 16th annual Ocean City Intermediate School Fishing Club Flea Market. The event featured an entire gymnasium filled with rods, reels and other fishing gear sold by vendors. The flea market attracts fishermen – and women – from all over the Northeast and has become a must-see winter event for anglers who are getting ready for the spring and summer fishing season. Normally, it attracts between 800 and 1,200 people. 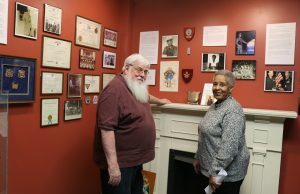 Five generations of Ocean City's Ford family are featured in a new exhibit that opened Friday night as the centerpiece of the Black History Month celebration at the Ocean City Historical Museum. The free exhibit will run through February. Although it chronicles 11 members of the Ford family spanning five generations, the exhibit focuses on brothers Samuel Ellis Ford Jr., Norman Kenneth Ford Sr. and Theodore Charles Ford. Cape May County Prosecutor Jeffrey Sutherland spent 90 minutes Saturday telling an audience of local residents about a series of county programs that are intended to prevent drug abuse, and, if it happens, how addicts can get help rather than simply being thrown in jail. 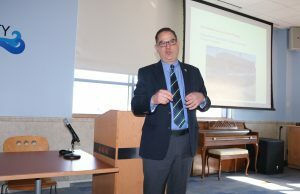 “It’s just as important preventing it as it is arresting people,” Sutherland said during a Fourth Ward community meeting at the Ocean City Free Public Library. Even as a rookie cop in Ocean City in 1995, Jay Prettyman had thoughts of one day becoming police chief. 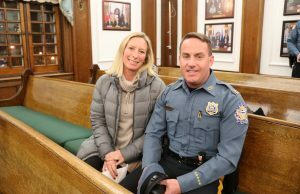 On Thursday night, he got his wish when City Council approved Mayor Jay Gillian’s appointment of the 48-year-old Prettyman to head the Ocean City Police Department. “It’s great. I feel I have been prepared most of my life for this,” Prettyman told reporters. In a preemptive strike, Ocean City plans to ban the sale of marijuana in the family-friendly resort town as discussions continue among state lawmakers to legalize recreational pot smoking in New Jersey. 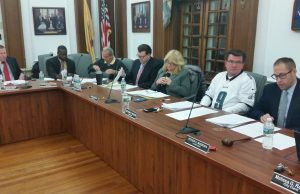 Voting 7-0, City Council introduced an ordinance Thursday night that would prohibit “businesses which cultivate, manufacture, test or sell marijuana and marijuana paraphernalia.” The measure would ban marijuana facilities within one-quarter mile of a school, church, recreational or sports facility, the Boardwalk and any residential area. It would effectively outlaw businesses from selling marijuana or pot paraphernalia in all parts of town.